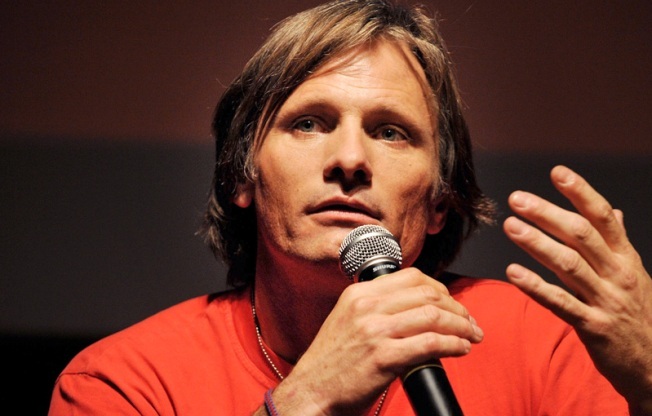 Actor Viggo Mortensen will discuss his upcoming film 'Good' with a screening at the 92nd Street Y. "GOOD" TIMES: Head to the 92nd Street Y for a sneak preview of Annette Insdorf's drama Good, about a German literature professor caught up in the rise of Nazism (based on the C.P. Taylor play of the same name), played by Viggo Mortensen. Both the actor and the director will discuss the film and take questions afterwards. 7:15PM. DANCY FEAST: The merry band of mischief-makers behind the first installment of Gastrophonic Stimulation sum up their event as follows: "Food. Music. What else do you need?" Musicians and chefs come together to create an unforgettable evening around the theme "Latkes and Eggnog," and we don't need much more convincing than that. 10PM. WREST UP: There'll be no Mickey Rourke on hand -- for that, you should have been at last night's chat at the Times Center -- but the editor, producer and cinematographer of Darren Aronofsky's Golden Lion-winning The Wrestler, about a has-been trying to recapture the ring's limelight, will be on hand for a making-of chat at a screening at the Walter Reade. 7PM.